Yes, you can bake a cake in a canning jar. 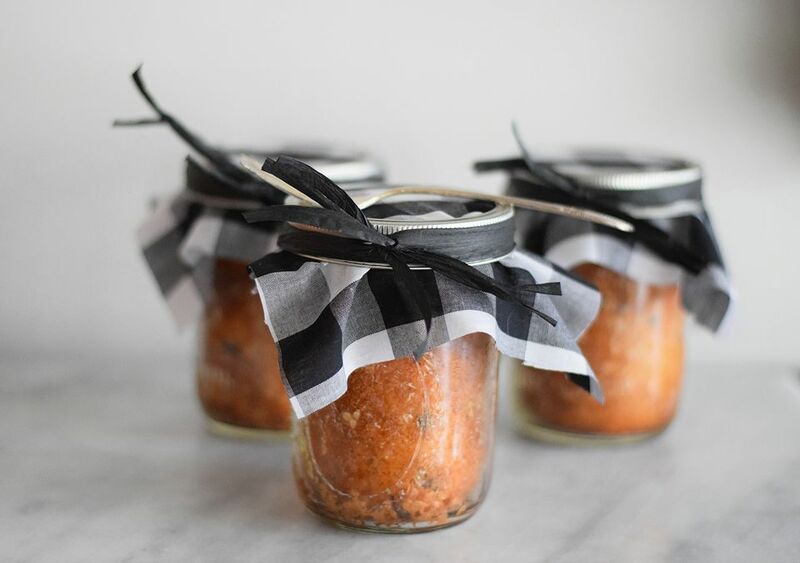 Better yet, canning jar cakes make wonderful edible gifts. Follow this easy step-by-step tutorial and you'll have yourself some canning jar cakes -- also known as Pirate Cakes -- in no time. Start with clean, dry one-pint canning jars. Be sure to follow the washing instructions on the canning jar box. If re-using jars, be sure to use brand new lids and seals. You'll need 6 jars for the batter of one 2-layer cake recipe. * Wide mouth 1-pint jars will work best when trying to "dump" the cake out. Using a spray oil, completely cover the inside of the canning jars. Preheat the oven to the temperature as directed in your cake or quick bread recipe. A baking sheet, preferably with sides, is needed to support the canning jar cakes in and out of the oven. Use a 1/4 cup scoop to add the batter to the jar. Any batter that sticks to the side, wipe out. Fill the jars to just under the 1-cup mark. Next, bake your cake. Set your timer for 15 minutes less than the time stated in your recipe. You can use a bamboo skewer to test for doneness. If your cakes don't come out exactly the same, don't worry. Most ovens have hot spots, where one part of the oven is hotter than another. This can cause variations when baking. I recommend rotating the baking sheet halfway through the baking time, so that the baked goodies have the opportunity to even out. For the jars to seal themselves, the jars must still be hot. The lids should also be at least room temperature. Sit them on the stove, if necessary. Don't screw on the caps too tightly. Within 15 minutes of capping the jars, you'll hear popping. This is when the heat from the jars cause a vacuum, making the jars airtight. To decorate the jars, try using a 10-inch square of fabric cut with pinking shears. If you'd like to spruce up this edible gift, write down the name of the cake on a blank business card, along with the ingredients on it, and attach it to the jar by using a hole punch and a tie. If using new jars, be sure to keep the canning jar box. It is perfect for holding the jars for distribution. If you plan to use your cakes for care packages to a college student or loved ones around the world, make sure to wrap the jars in bubble wrap and then place tightly in a mailing carton. How Do You Make How Icelandic Skyr (Yogurt)?